Conditions were perfect for the James River Rundown. This past weekend, I participated in the James River Rundown, thanks to a push from my friend Justin Doyle of the James River Association. I ran the 20-miler in 4 hours and 26 minutes, which was about the right amount of time to spend on the river. My arms were a little sore, but no blisters and I was able to manage the physical part of the race. My mind was occupied the entire time as I scanned the scenery and admired Mother Nature’s beauty. I’d never been through any of that section of the James, but found it to be tremendously relaxing. The weather was perfect, the water levels in the river were up to provide a push and I’m so glad I took the time to paddle that day. Conversation among the participants — especially those from outside of Virginia — spoke highly of the James River and the green scenery. Most said they would be back again. Many locals I spoke with said they had no experience with that section of the James and were amazed by the solitude and cleanliness of the river. I was focused more on speed and not trying hard to collect trash on that paddle, but there really wasn’t much to see. I will regret not redirecting one floating tire to Pat Calvert of the James River Association as he was course marshal in a power boat and could have helped collected it. I’ll make up for it next time. One funny side note: The band signed to play after the race performed a song they had written about the James River that they said was inspired by me, which was made quite funny since they didn’t know I was there. I didn’t hear them talking about their research, but apparently they had studied my James River deaths map, among other articles I had written. Quite flattering. 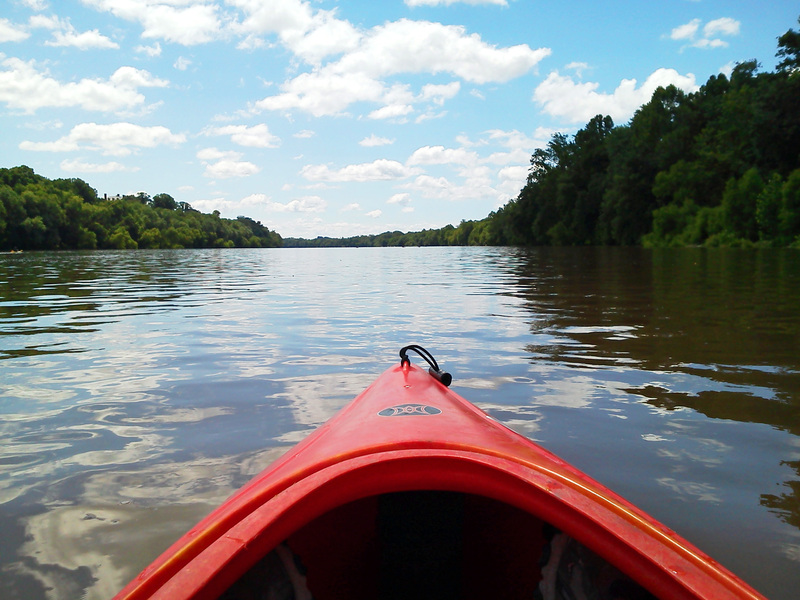 There are many different ways to enjoy a day on the James River, but not many people choose to paddle dozens of miles down river in one day. For those who do want to do that, there is an option as more than 100 paddlers participated in the 2015 James River Rundown on June 27-28. The event began as a two-day 100-mile paddling race in 2014 with all proceeds supporting the event organizer, the James River Association. This year, the nonprofit group added 40-mile and 20-mile races.